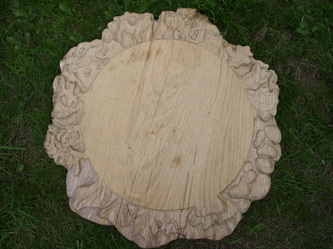 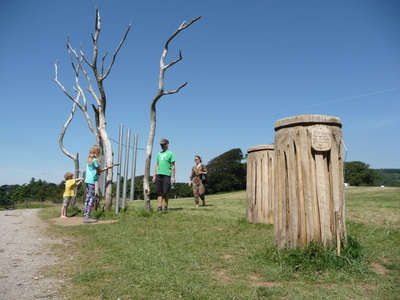 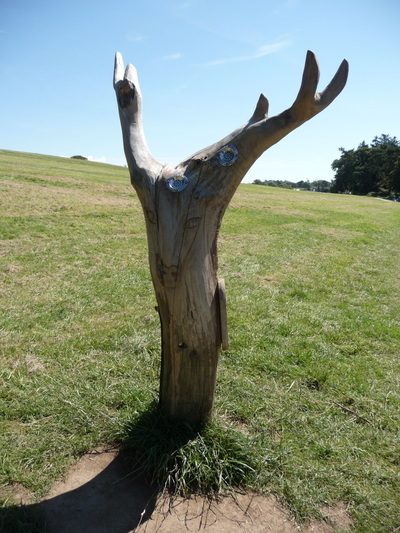 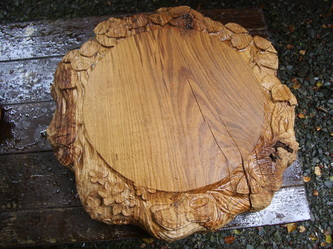 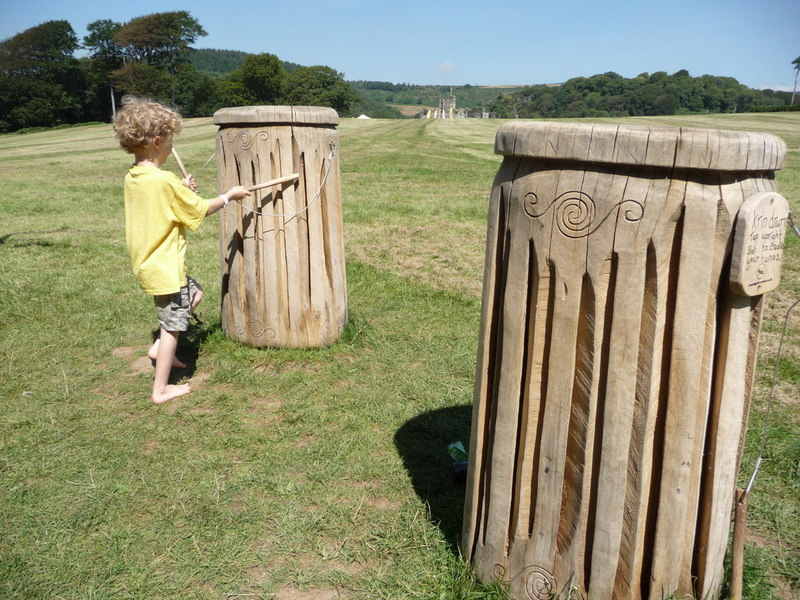 Krin drums and stags head speaking posts all made from wind fallen oak from Margam Park. 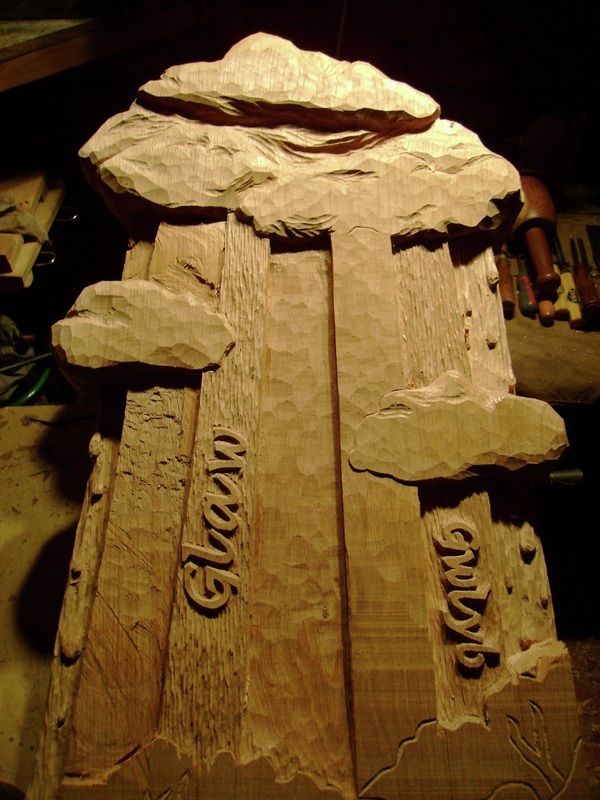 Tree xylophone by Dragonfly Creations. 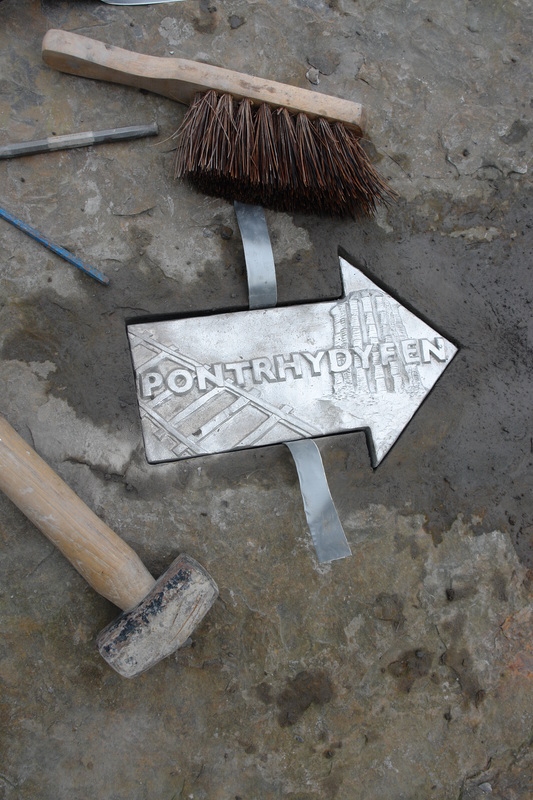 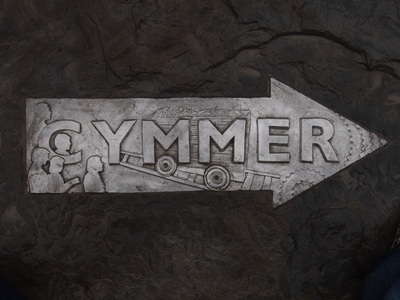 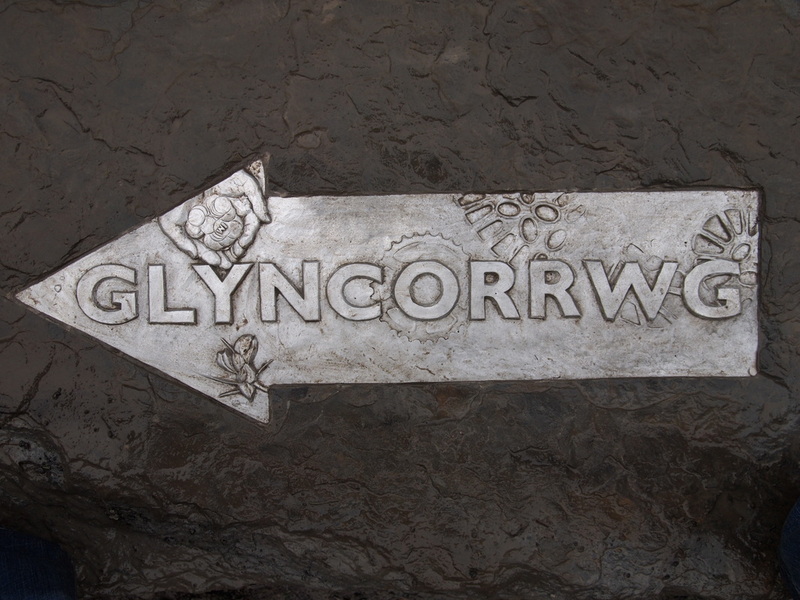 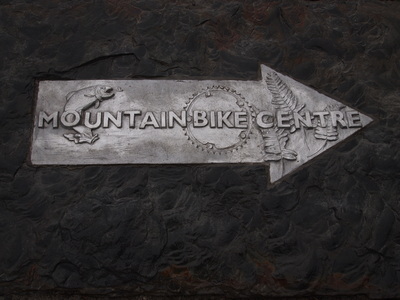 A series of hand modelled, aluminium cast arrows set in blue pennant sand stone for the Afan Valley cycle path. 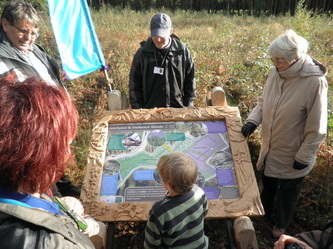 Designs were taken from suggestions from local community groups about what was important to them about the area. A common lizard, tree creeper and point snail for Carmel Nature Reserve, Carmarthenshire. 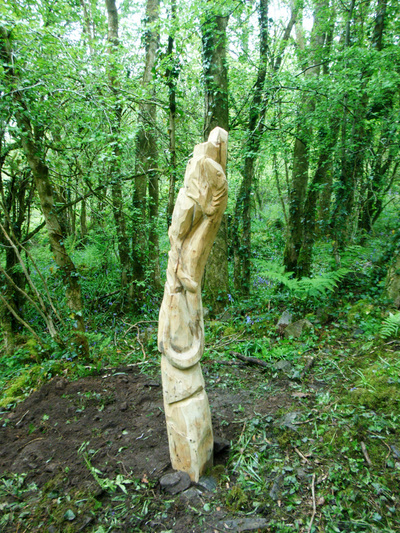 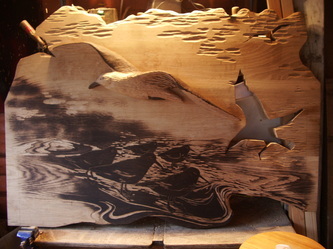 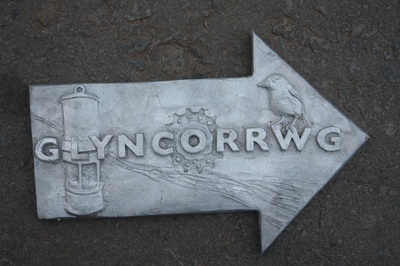 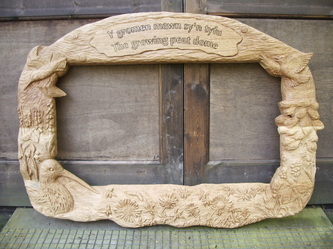 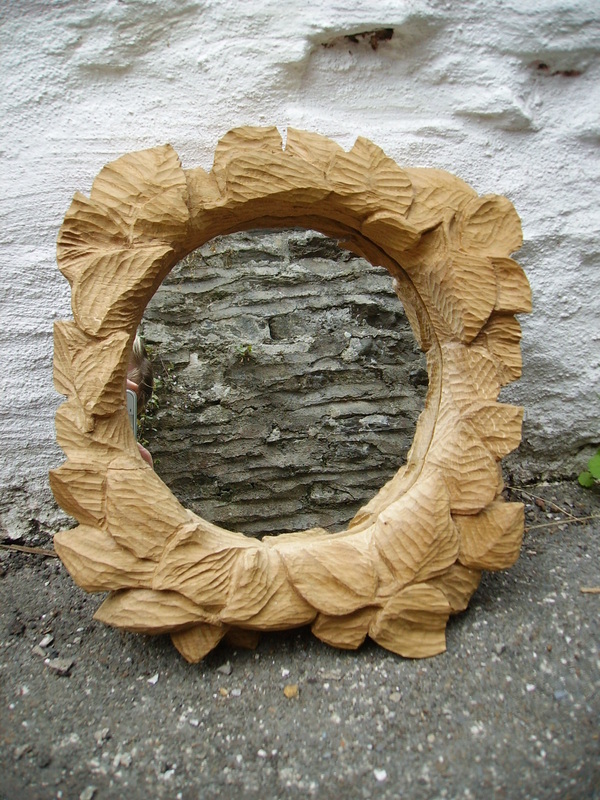 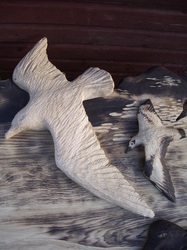 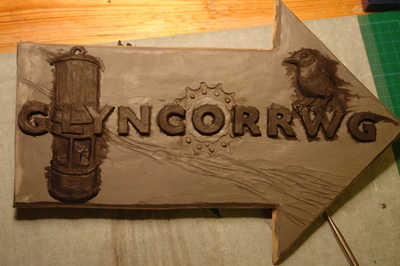 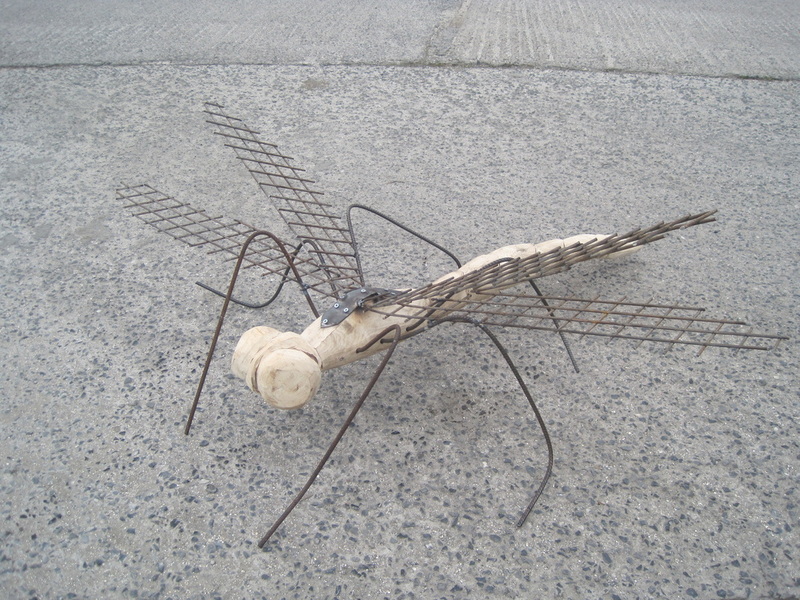 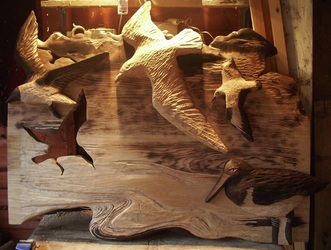 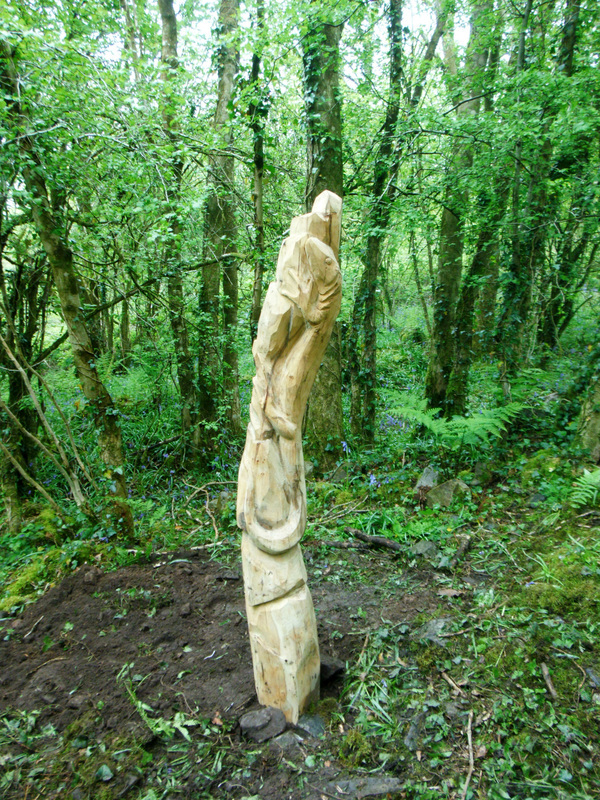 Commissioned by the Wildlife Trust of South and West Wales. 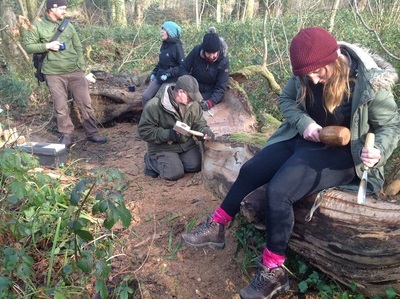 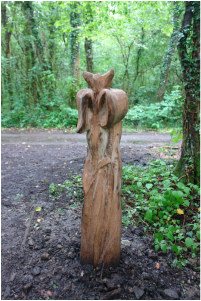 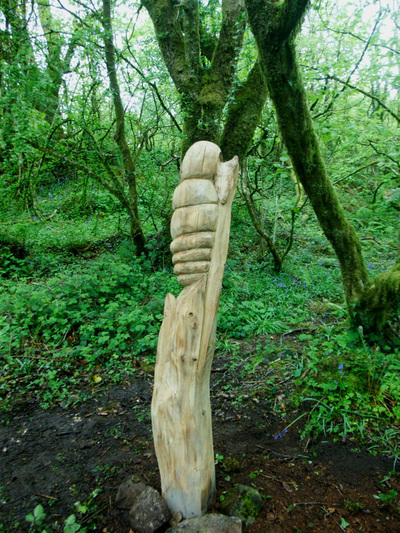 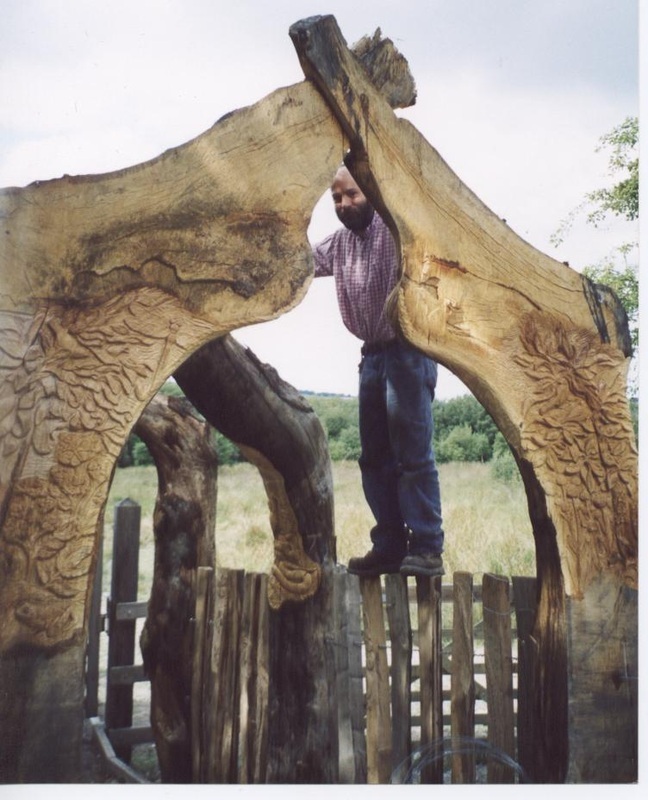 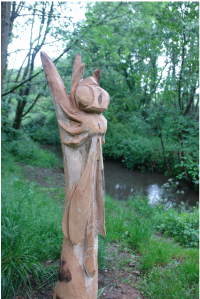 Working with Actif Woods Wales, participants designed and carved the rich history of the site on the side of the organic shaped seat and made another bench with Dragonfly Creations from milled windfall in Glanrhyd Estate, Pontardawe. Fox gloves and a dragonfly nestled amongst the woodland, with other installations from Dragonfly Creations. 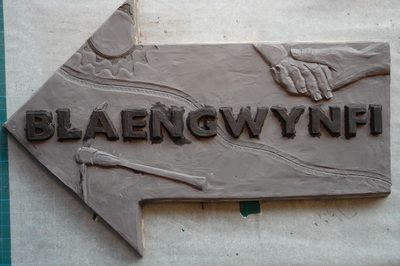 Private commission in Mayals, Swansea. 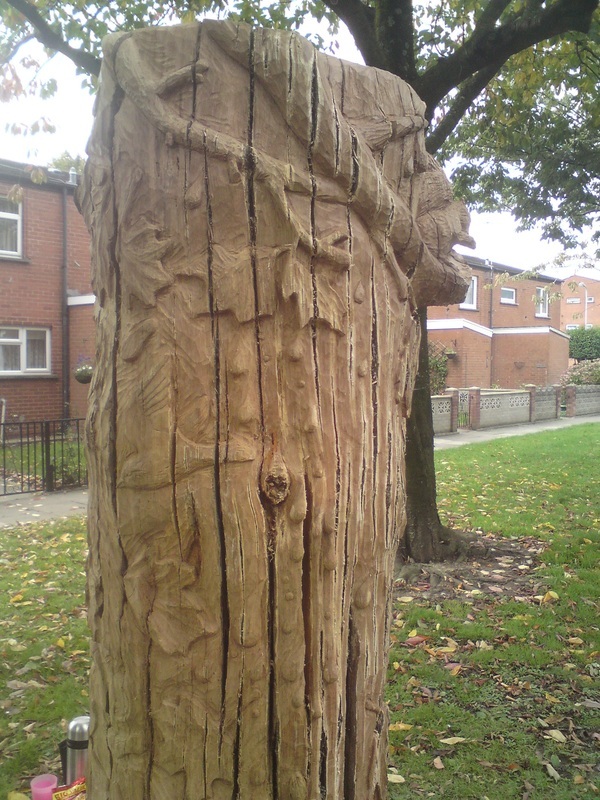 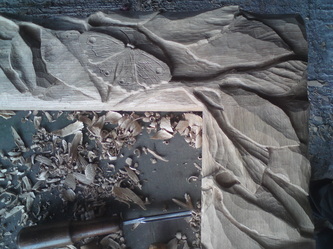 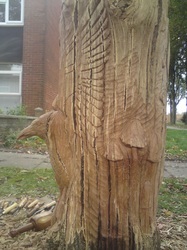 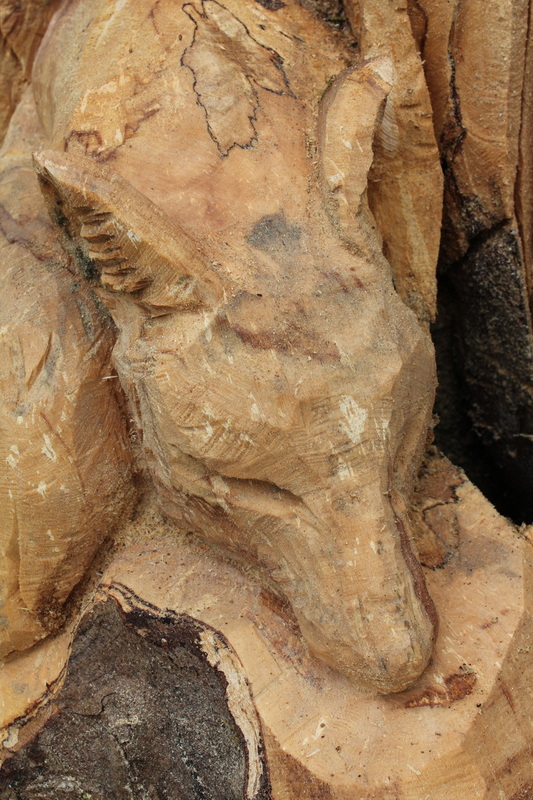 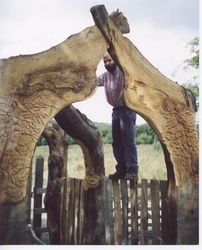 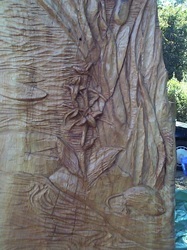 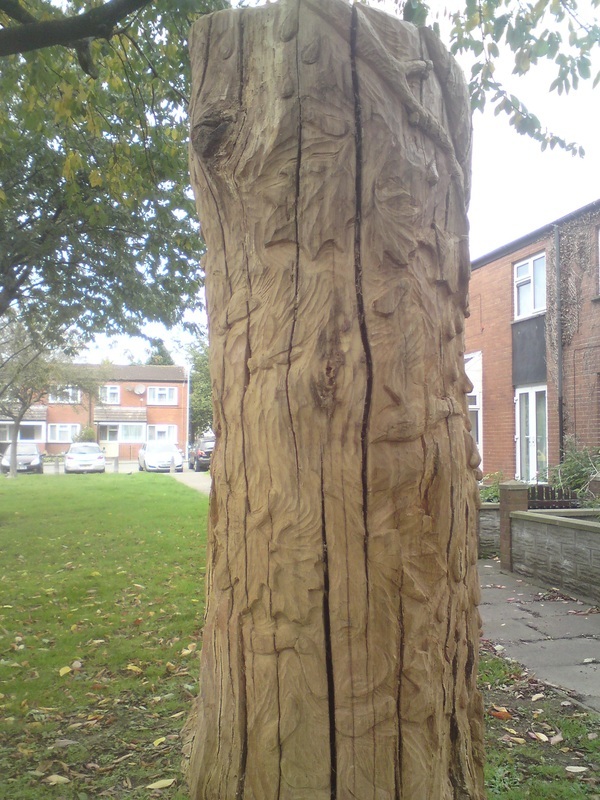 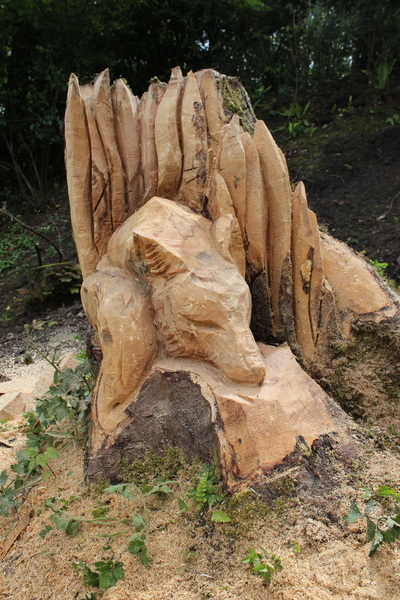 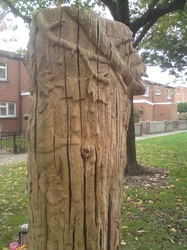 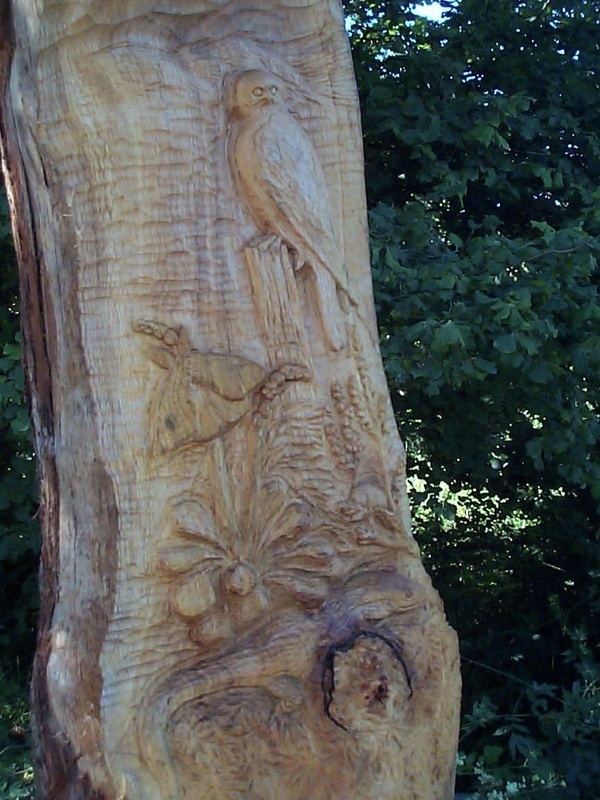 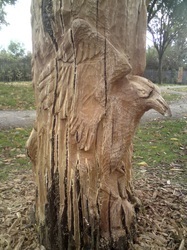 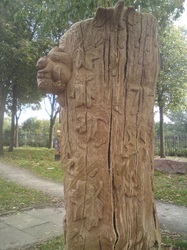 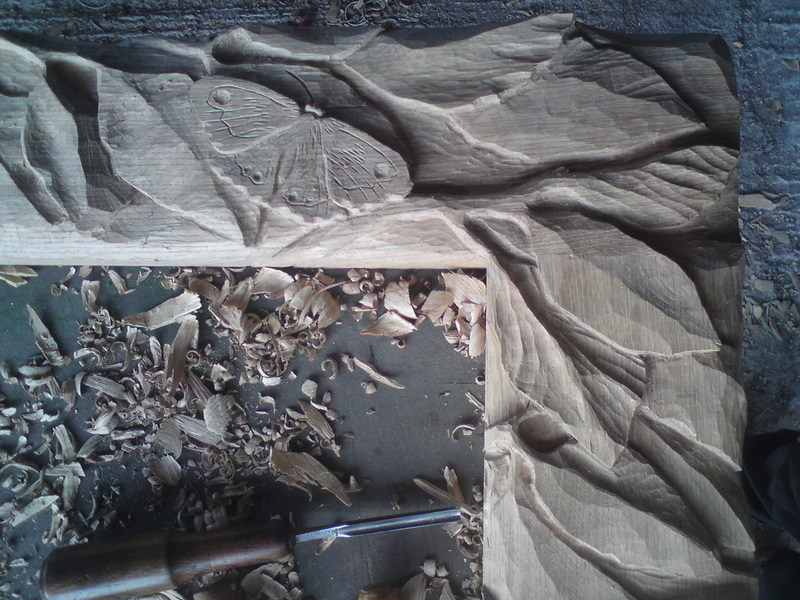 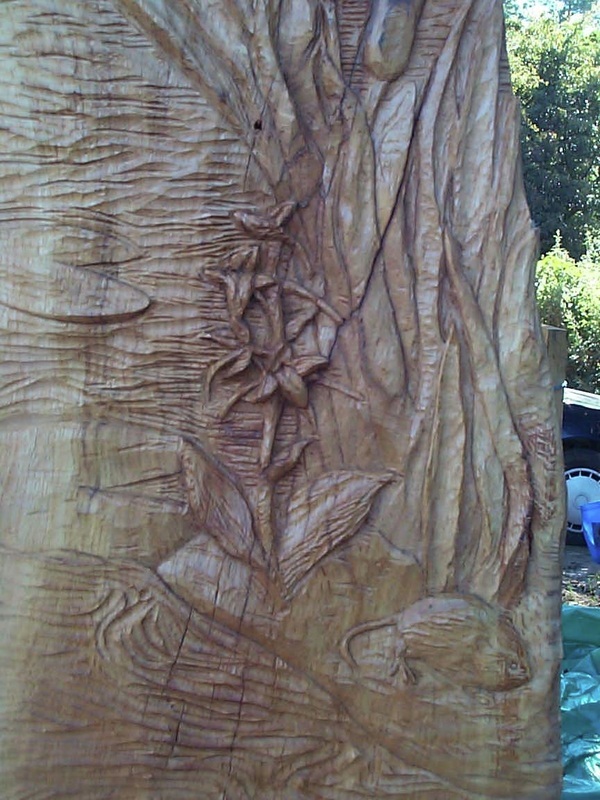 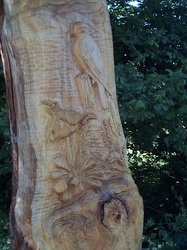 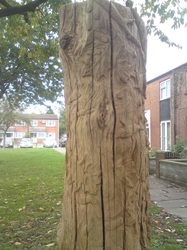 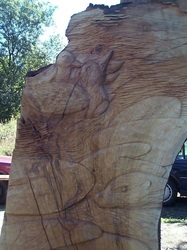 Chainsaw carved sycamore stump. 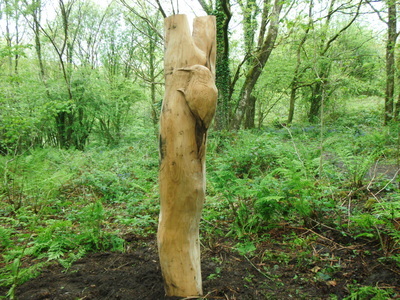 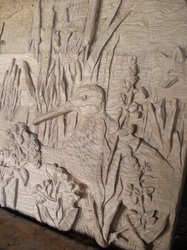 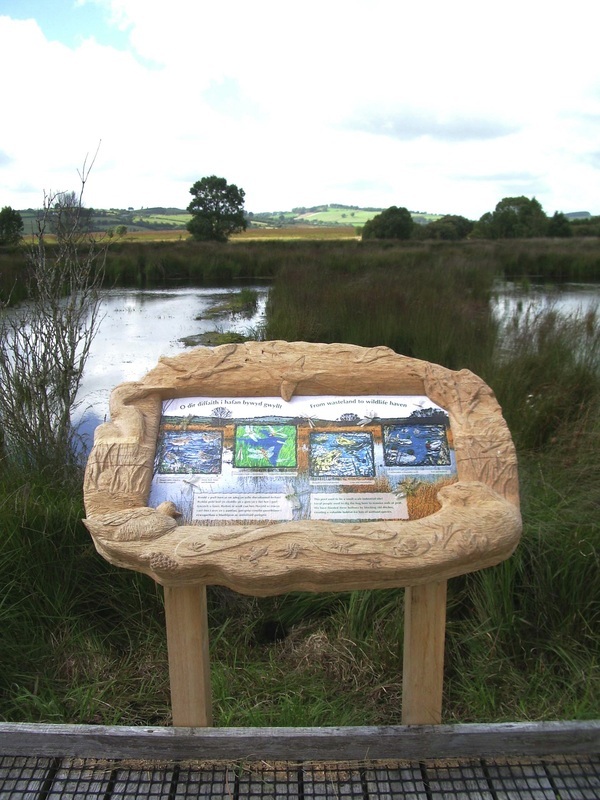 Commissioned by the Wildlife Trust of South and West Wales for Killay Marsh in Swansea. 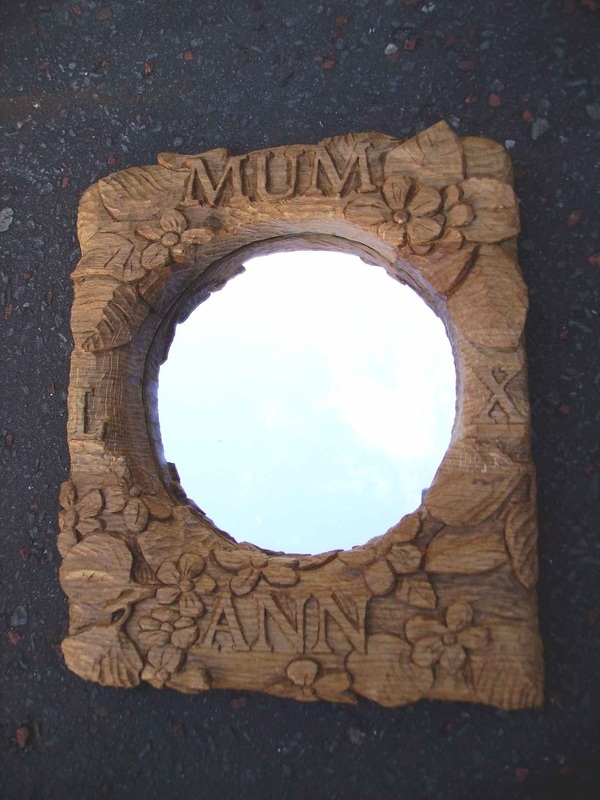 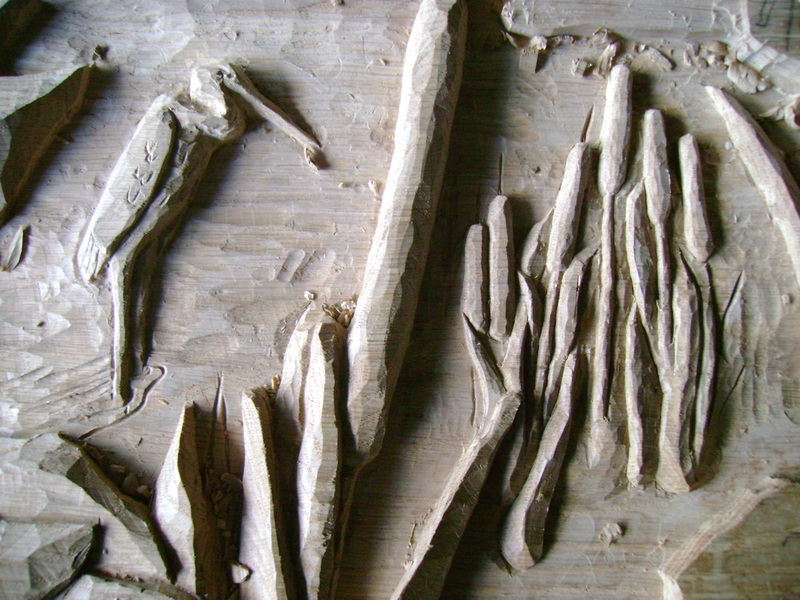 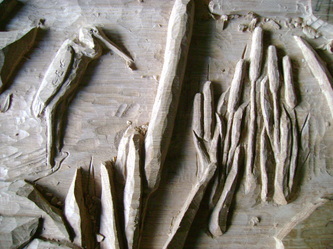 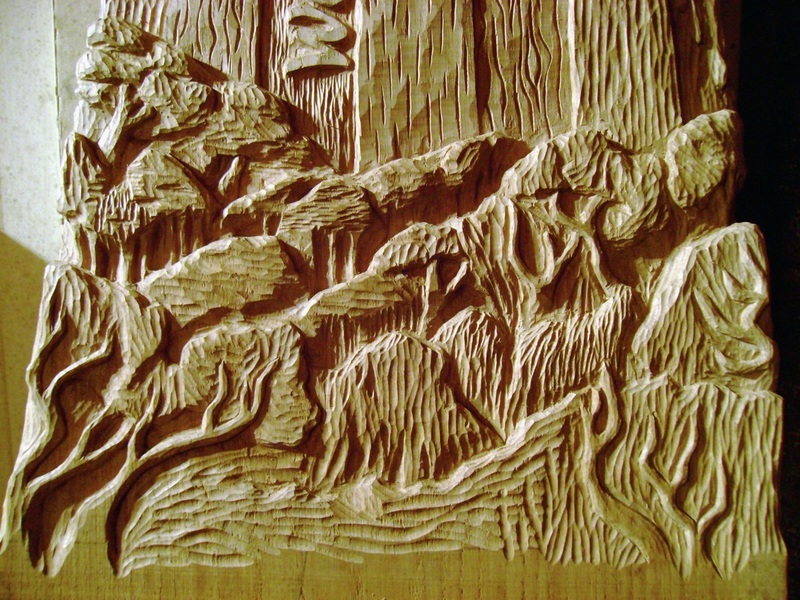 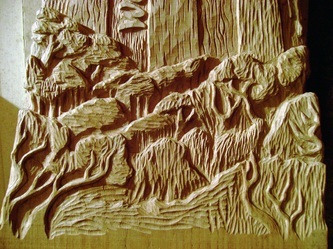 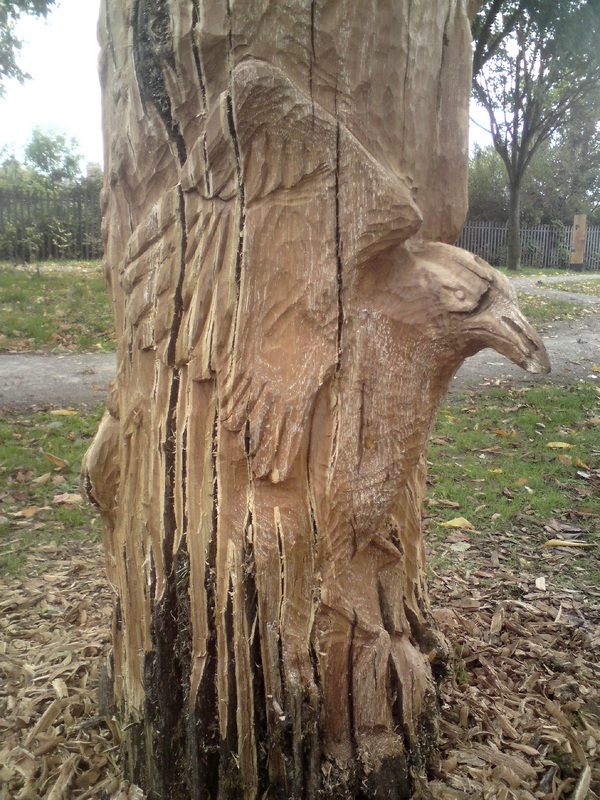 Carved solely with a chainsaw, these pieces took a day each to make. 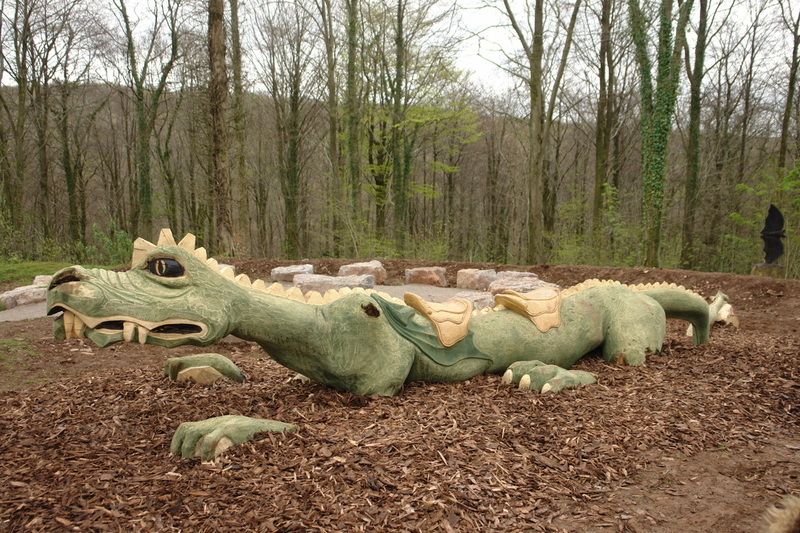 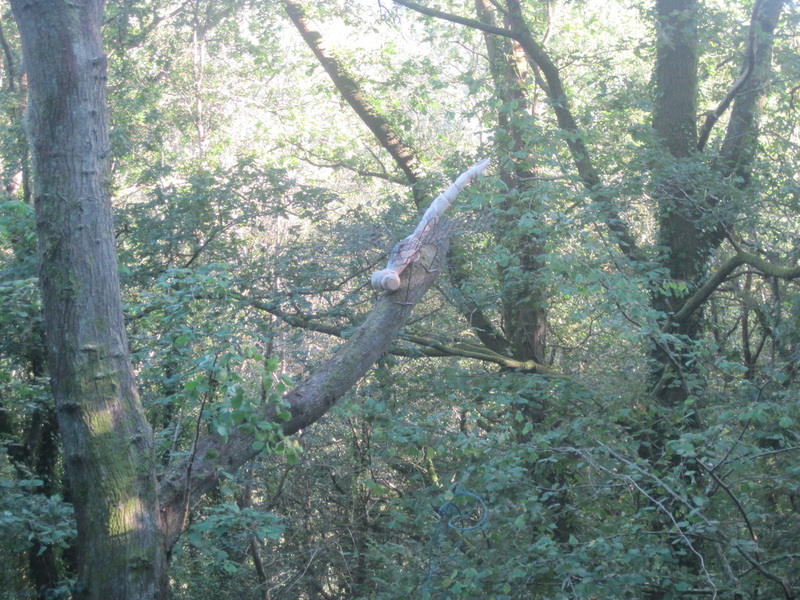 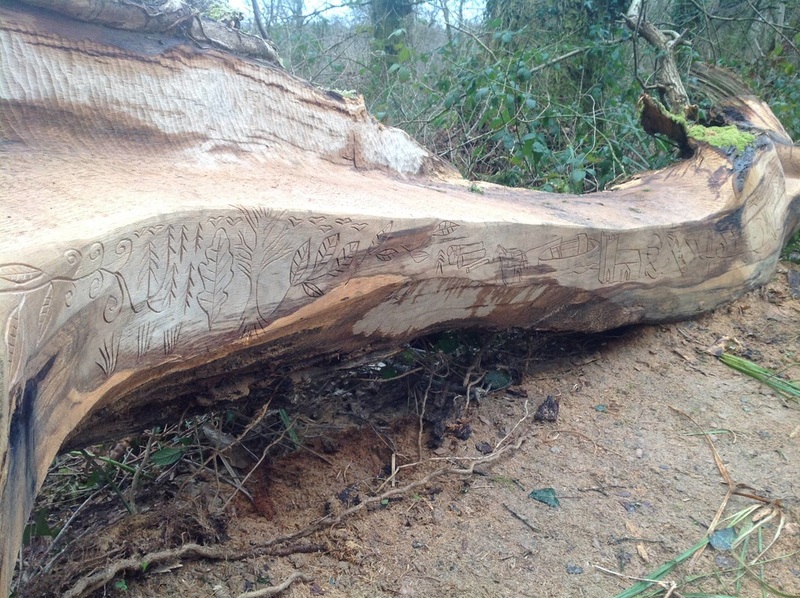 A dead standing oak tree has been transformed into an interactive dragon. 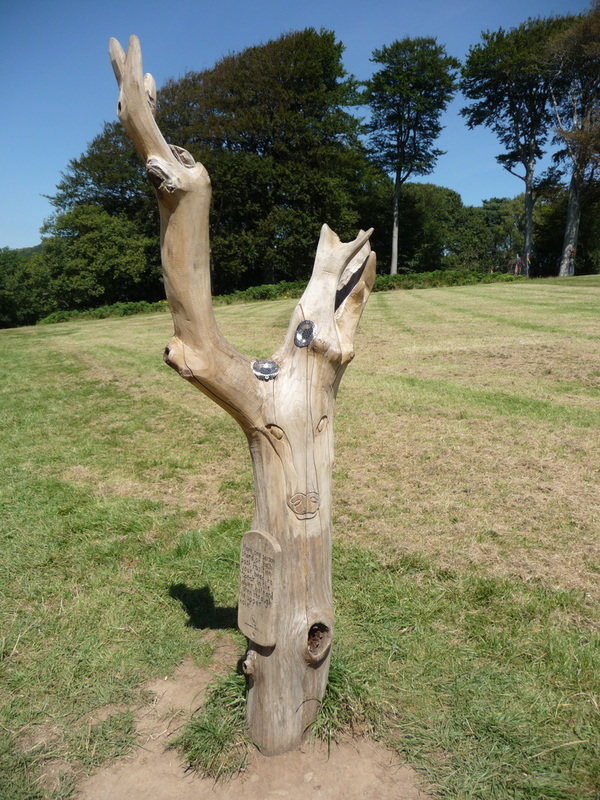 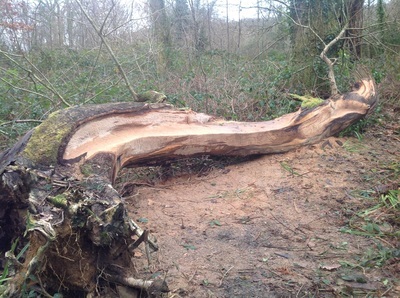 Commissioned by the Forestry Commission and sited in Fforest Fawr behind Castell Coch near Cardiff. 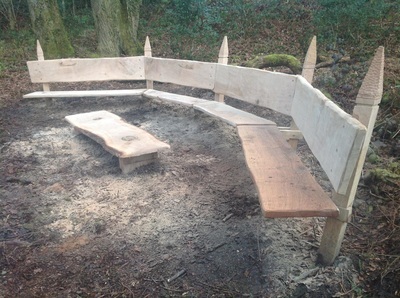 These chairs and table form a semi circle space for an outdoor classroom in Ysgol y Dderi primary school near Lampeter. The wood is all from one cedar of lebanon tree generously donated by the headmistress. 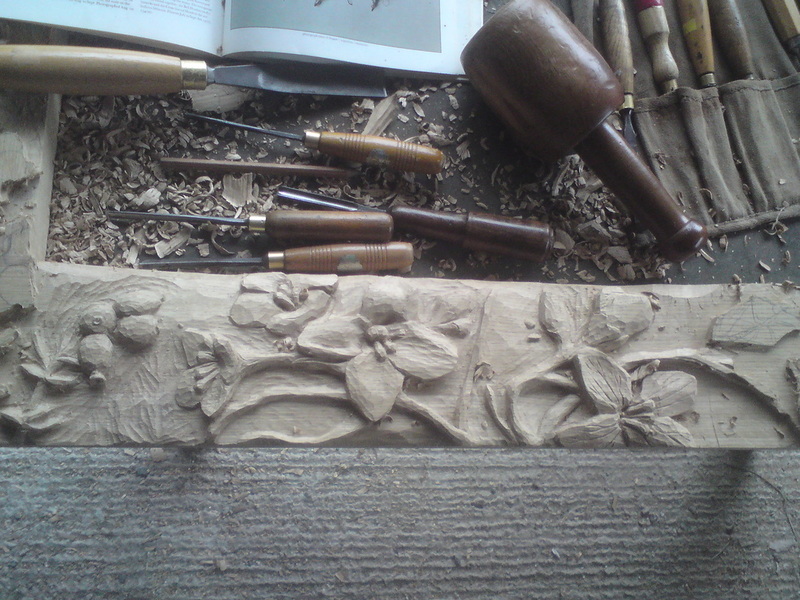 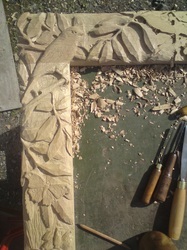 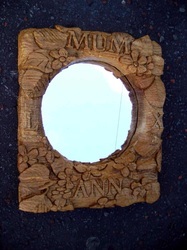 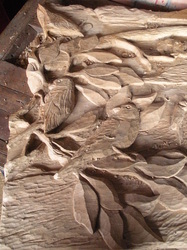 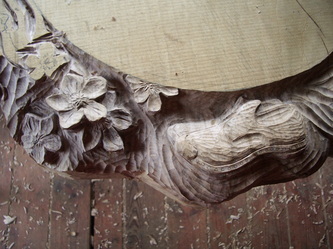 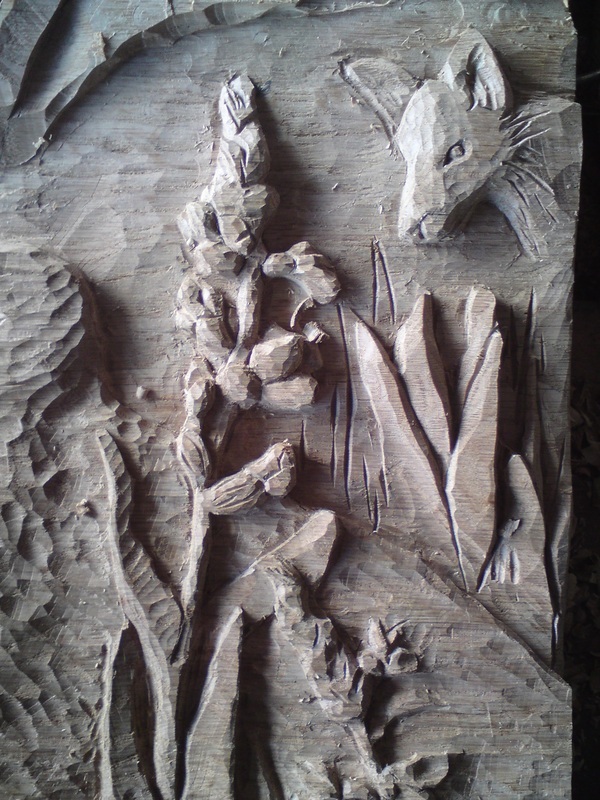 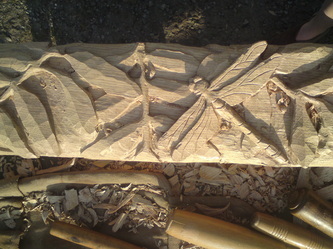 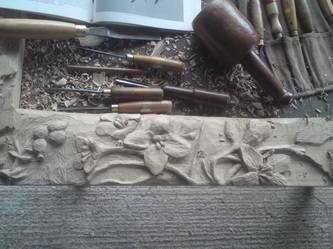 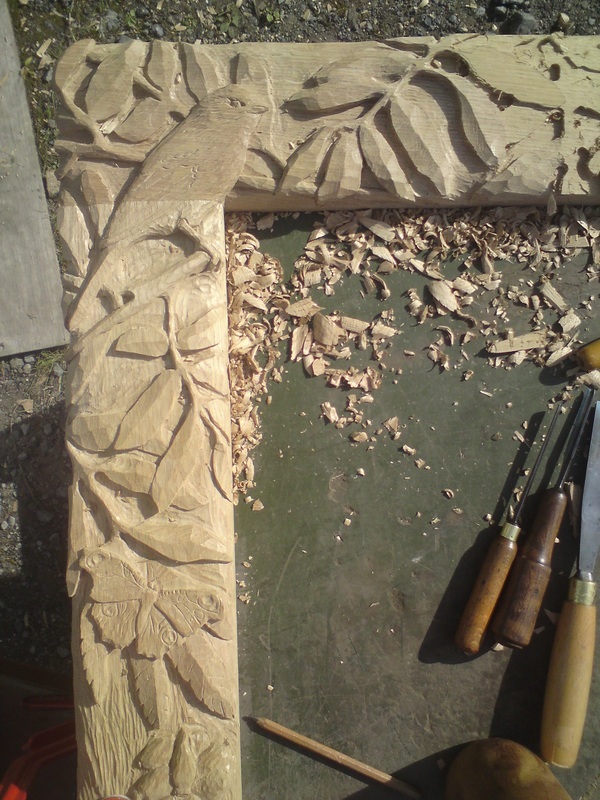 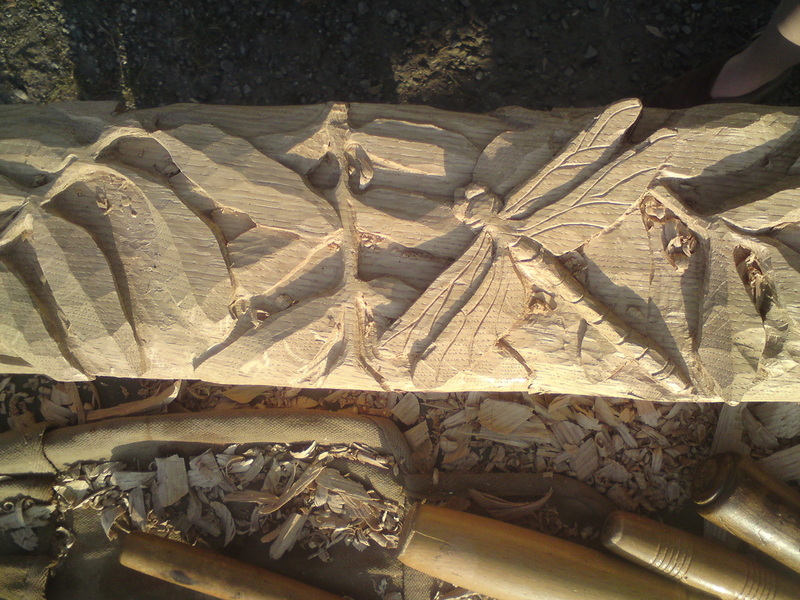 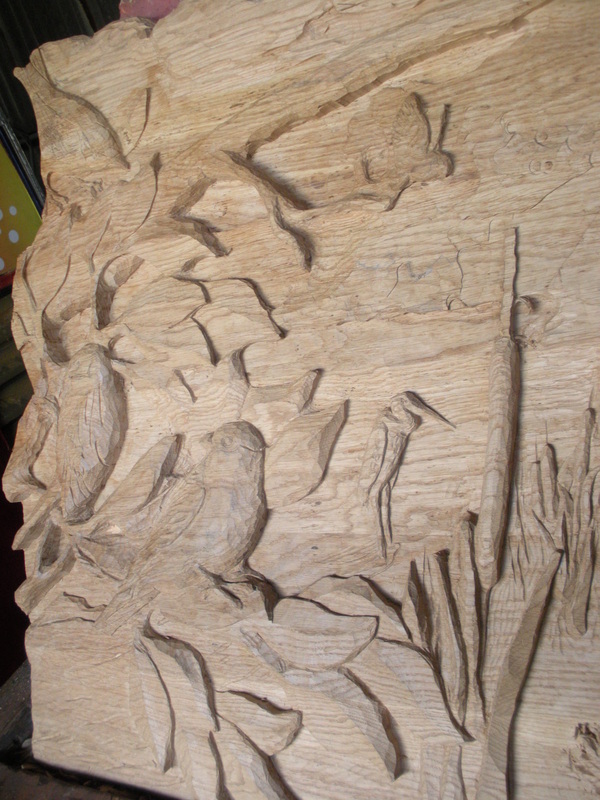 Some finishing touches were done with hand tools through wood carving workshops with the school children. 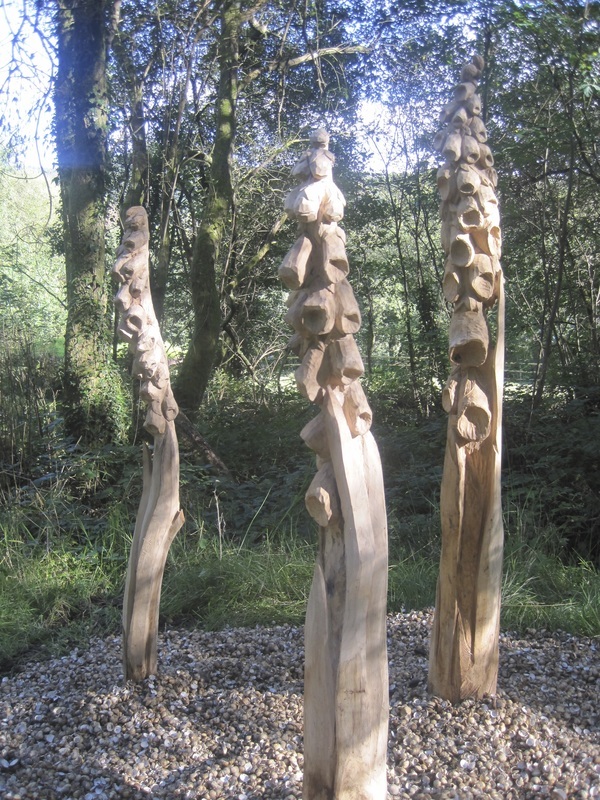 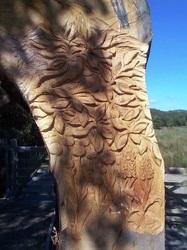 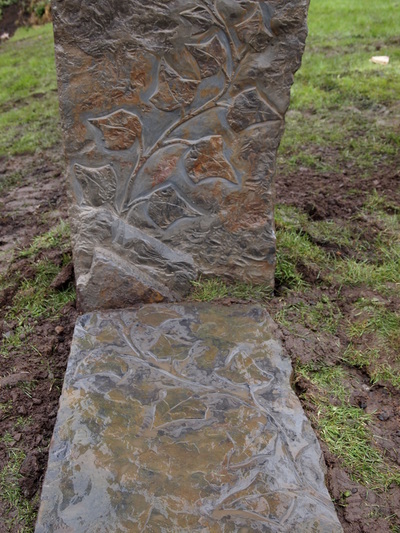 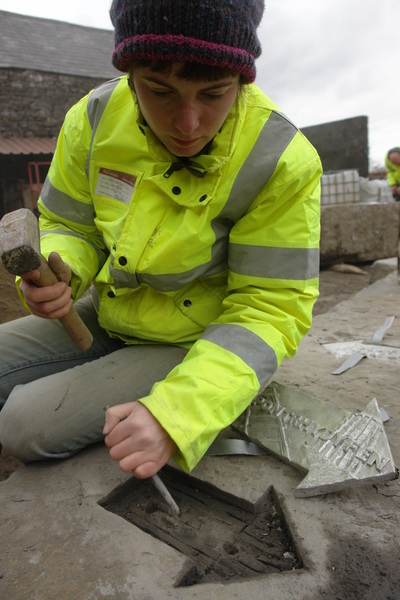 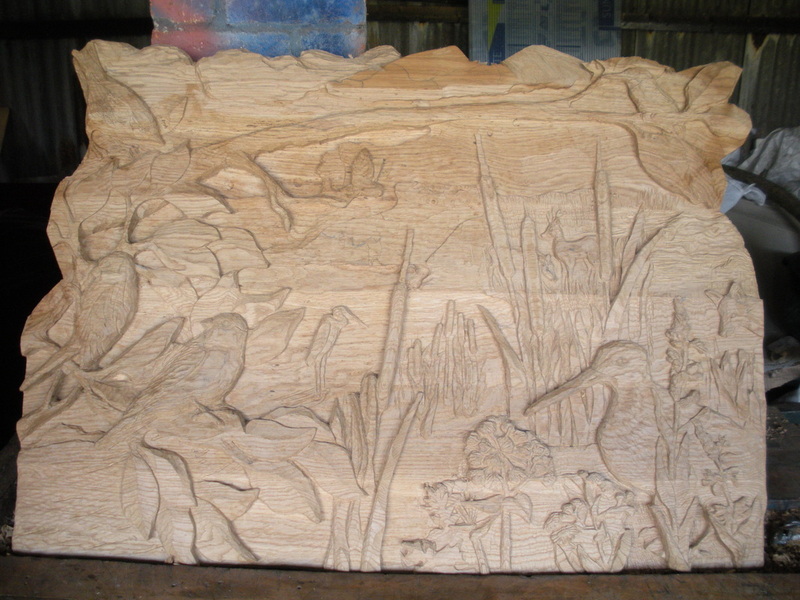 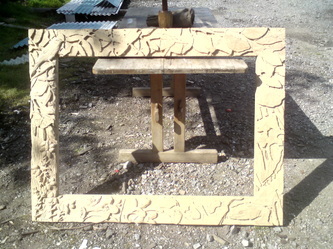 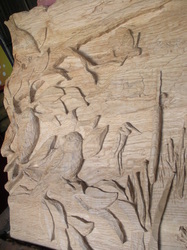 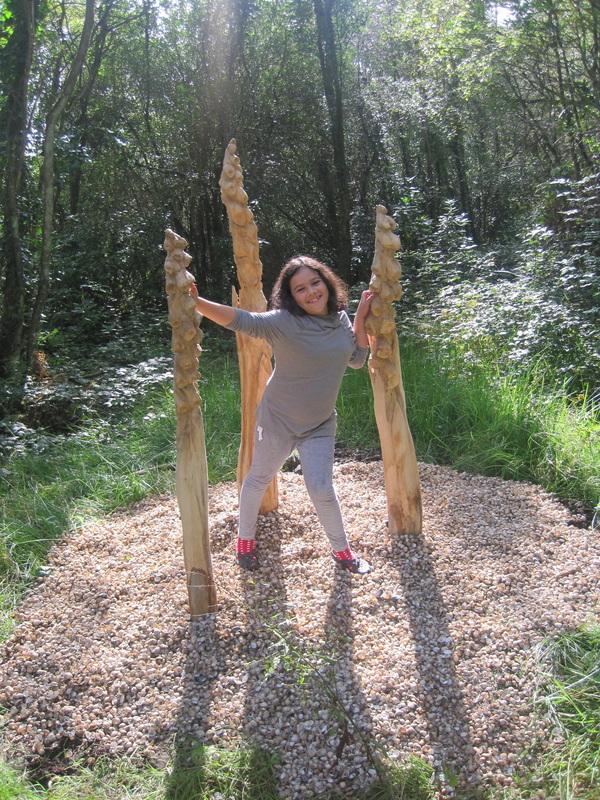 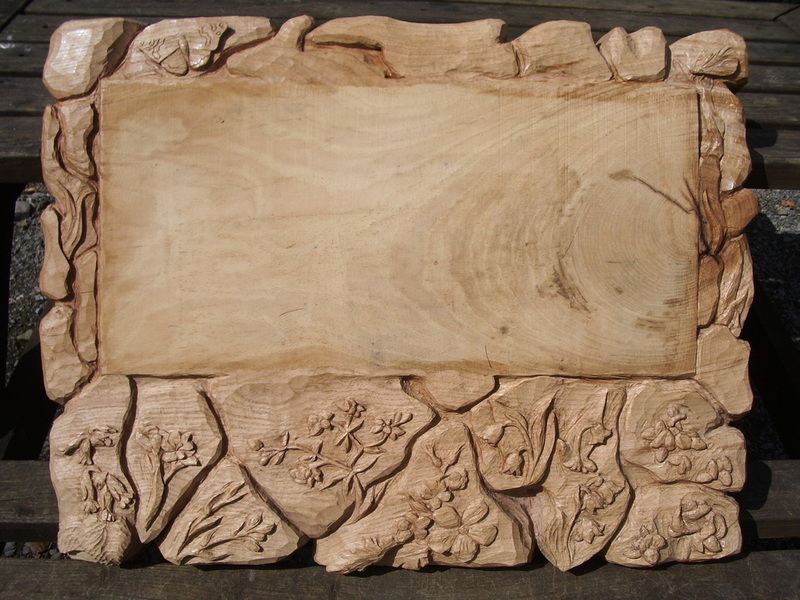 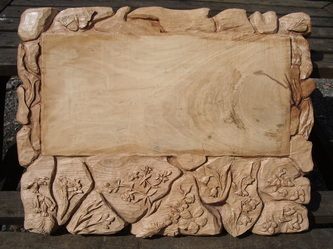 This commission from Groundwork Bridgend & Neath Port Talbot , via Sculpture by the Sea UK, was to make an entrance piece onto Loughor foreshore and a series of carved coping stones for five small walls on the reserve. 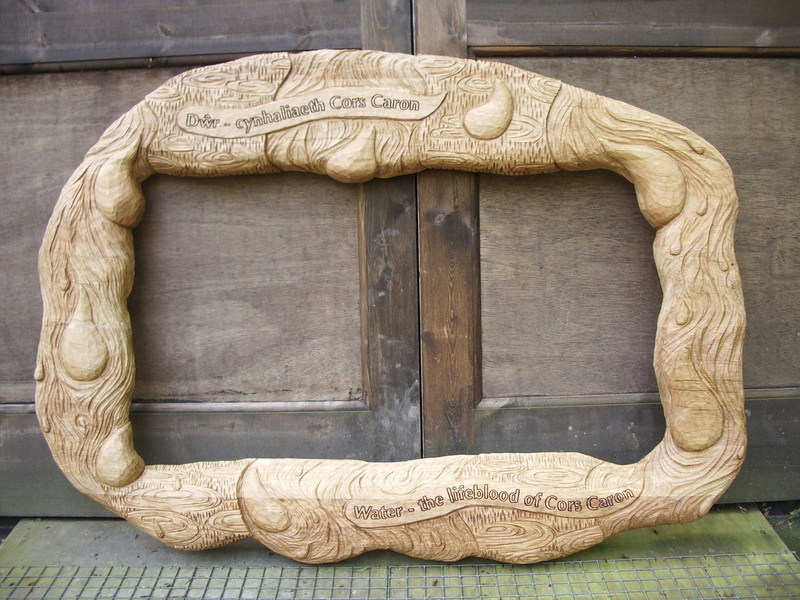 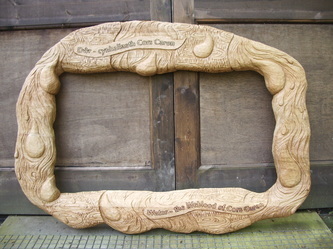 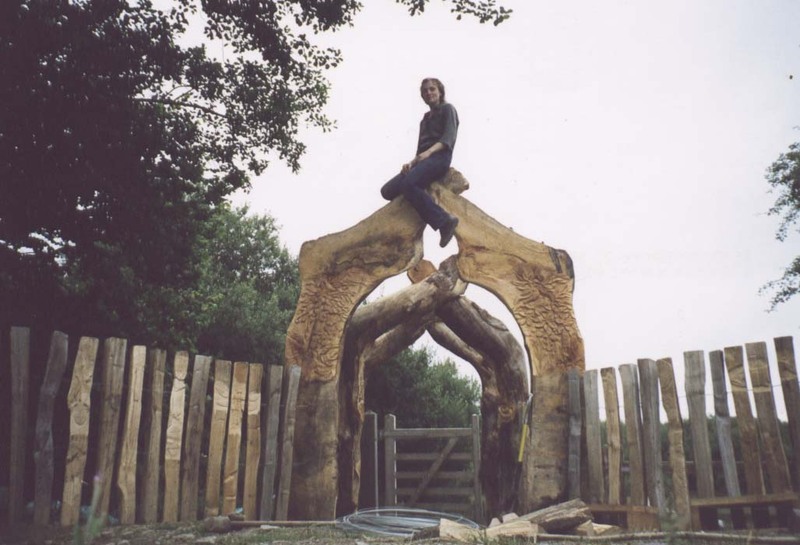 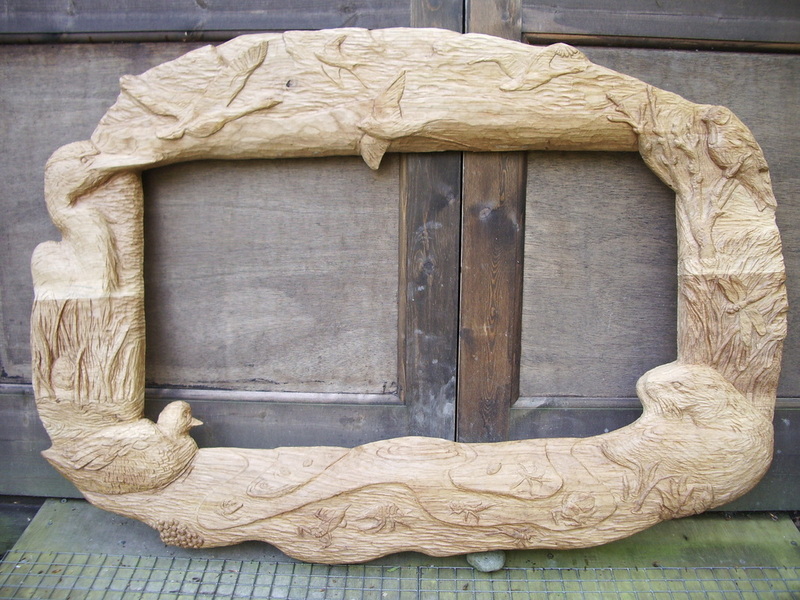 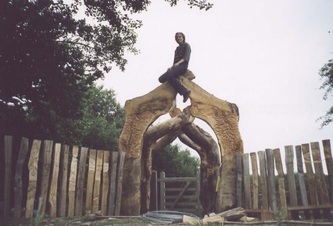 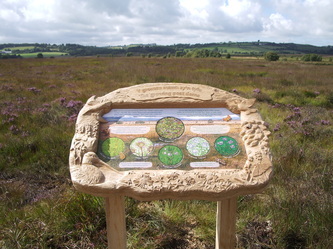 Part 1: The entrance, takes the theme of the local history and Part 2: the hand carved coping stones, illustrates the five different habitats and some of its rare species. The stone work will be installed atop five walls in early October.